I appreciate the opportunity to testify today on legislation pending before you on state tax actions that impact interstate commerce. Since the Tax Foundation’s founding in 1937, we have monitored tax policy and developments at the federal and state levels; the wealth of data and research on our website is heavily relied upon by policymakers, media, and the general public. As a non-partisan organization, our analysis is guided by economic principles and the view that tax systems should strive to be simple, neutral, transparent, and stable. What you have before you is not a new issue. Absent federal guidelines or court mandates, states have an incentive to shift tax burdens from physically present individuals and businesses to those who are beyond their borders. Indeed, it was states’ unchecked behavior in putting tariffs and tolls on goods crossing state lines that led to the Constitutional Convention in the first place. James Madison noted at the time that “the mild voice of reason, pleading the cause of an enlarged and permanent interest, is but too often drowned before public bodies as well as individuals, by the clamours of impatient avidity for immediate and immoderate gain.” Today, some states’ actions threaten to do harm to the enlarged permanent interest of the national economy as they pursue immediate and immoderate gain. • 50 U.S.C. § 574 (preempting state taxation of nonresident members of the military stationed temporarily in the state). As states are unlikely to slacken in their efforts to implement discriminatory tax policy, it is a power that I expect you will also use in the future. It’s not one to use lightly, I must concede. Many components of state tax systems do not have the motivation or effect of protectionism or raiding revenue from out-of-staters, and should be left alone as part of our commitment to fifty simultaneous laboratories for policy experiments, to paraphrase Justice Brandeis. If bad state policy can be corrected by the out-migration of people and dollars, or political pressure by voting resident taxpayers, it ought to be left to the states to handle. At the same time, states are giving in-state business exemptions, waivers, and credits from their corporate income tax. By our most recent count, 29 states offer resident businesses credits from state corporate income tax they would otherwise owe, if the resident business engages in research & development, new job creation, or new investment. Many states do not consider in-state property or payroll when apportioning taxes owed by in-state corporations. While permissible under Supreme Court precedent, these actions have led to a long-term decline in the tax (see Figure 2). It also results in a paradox: states excuse some resident businesses from paying part of their tax bills, while they demand that nonresident businesses pay taxes on profits that are properly taxed by other states. This is exactly the state behavior that the Founders warned about. The reason the Founders favored the Congress to handle the matter was because states have no incentive to get together and resolve it on their own. On the contrary, each state tends to think it can get a bigger share of the national tax pie by adopting aggressive nexus standards. They can’t all get a bigger share, of course, so while West Virginia may get a bit more revenue from a nonresident credit card company or Iowa may get a bit more revenue from a nonresident Kentucky fast food chain or New Jersey may get a bit more revenue by holding trucks at the state line, these actions leaves us all poorer. Source: Organization for International Investment. All businesses must deal with the resulting complex tax statutes, uncertainty about what activities create tax obligations in different states, lack of uniformity between different states in tax rules and formulas, and generally wasting significant time, wealth, and brainpower navigating tax compliance rather than doing more productive things. These state actions also deter new investment by domestic and foreign businesses and entrepreneurs who want no part of this quagmire and take their dollars and their jobs overseas. 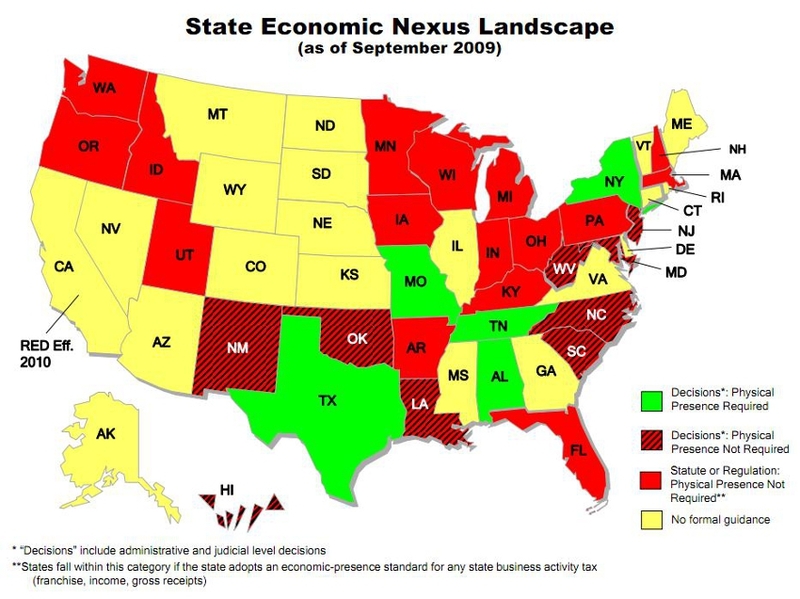 This “economic nexus” standard favored by about half the states means that tax obligations are owed wherever a company has sales or other economic activity. If this standard is widely adopted, we will not have corporate income taxes but corporate consumption taxes, whereby states mostly exempt resident companies from tax obligations while imposing them on out-of-state companies. This is backward and violates the “benefit principle”-the idea that the taxes you pay should be a rough approximation for the services provided by the government that you consume. State spending overwhelmingly, if not completely, is meant to benefit the people who live and work in the jurisdiction. Education, health care, roads, police protection, broadband access, etc. : the primary beneficiaries are state residents. The “benefit principle” thus means that residents should be paying taxes where they work and live, and jurisdictions should not tax those who don’t work and live there. A physical presence standard for business activity taxes would be in line with this fundamental view of taxation. That is still true today. The litigation about the physical presence standard in corporate, individual, and sales tax contexts has nearly exclusively been state efforts to overturn it or undermine it. Economic nexus is a nebulous, amorphous standard that quickly leads to states asserting the power to tax everything, everywhere. It is an alarming trend that even the best intentioned state legislator is being swept along in. It alarms me that a state could drive out business property and payroll and essentially become a fiscal basket case, yet still be able to collect revenue by grabbing it from businesses and individuals located in other states. States can thus pursue policy options that are unwise in the long-term but avoid the consequences of that choice. States revenues are in the process of recovering, although it varies by state and generally they will not rise to where they would have been under the overly optimistic revenue projections at the height of the boom. But state fiscal pain does not justify beggar-thy-neighbor policies that impose significant compliance and deadweight losses on the national economy. State power to tax should not extend to everything everywhere. Simplification should be something everyone embraces. As Chief Justice Marshall said, “The power to tax is the power to destroy.” And state tax overreaching with aggressive nexus standards can destroy. As a country we have gone from the artisan to Amazon.com. But the sophistication of technology does not overrule timeless constitutional principles meant to restrain states from burdening interstate commerce and imposing uncertainty on the national economy. See U.S. Const. art. I, § 8, cl. 3 (Interstate Commerce Clause); U.S. Const. art. I, § 10, cl. 2 (Import-Export Clause); U.S. Const. art. I, § 10, cl. 3 (Tonnage Clause); U.S. Const. art. IV, § 2, cl. 1 (Privileges and Immunities Clause); U.S. Const., amend. XIV, § 1 (Privileges or Immunities Clause). The power of the federal courts to act when Congress is silent is inferred as an implication of the Commerce Clause, a doctrine often referred to as the “dormant” or “negative” Commerce Clause. See, e.g., Willson v. The Black Bird Creek Marsh Co., 27 U.S. 245 (1829). The Import-Export Clause prohibits states from penalizing activity that crosses state lines, particularly imports. See, e.g., Michelin Corp. v. Wages, 423 U.S. 276, 295 (1976) (stating that the Import-Export Clause prohibits import taxes that “create special protective tariffs or particular preferences for certain domestic goods….”). The Tonnage Clause prohibits charges on shipping freight. See Frank Shafroth, The Road Since Philadelphia, 30 State Tax Notes 155 (Oct. 13, 2003). 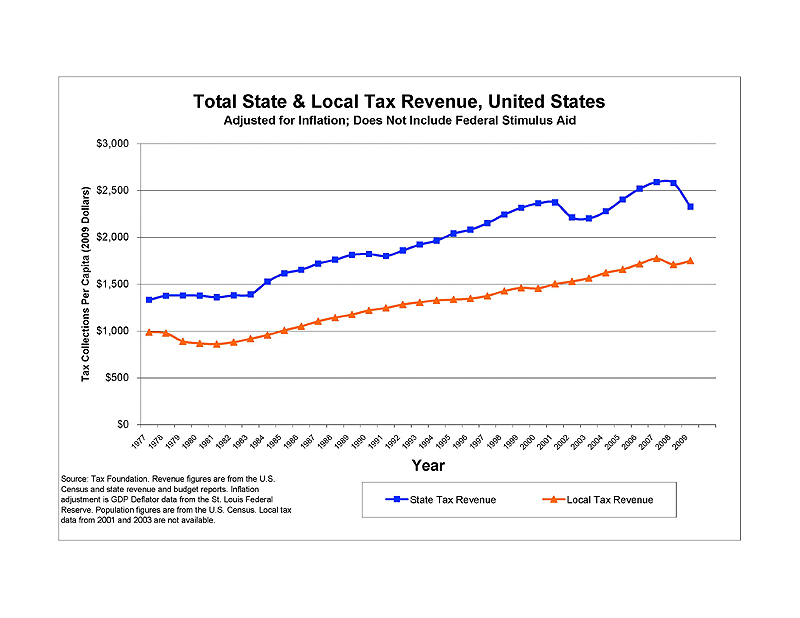 Kail Padgitt, “2011 State Business Tax Climate Index,” Tax Foundation Background Paper No. 60, at 41, (Oct. 2010), http://www.taxfoundation.org/legacy/show/22658.html. 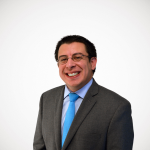 Testimony of Michael F. Mundaca before the Senate Committee on Finance, Subcommittee on International Trade, “How Much Should Borders Matter? Tax Jurisdiction in the New Economy,” (Jul. 25, 2006), http://www.batsa.org/mundaca.pdf. States with aggressive sales tax statutes are Arkansas (just enacted this month), Colorado, Illinois, New York, North Carolina, and Rhode Island. All have either failed to collect any revenue and/or are subject to ongoing litigation. See Complete Auto Transit, Inc. v. Brady, 430 U.S. 274 (1977) (holding that states may tax interstate commerce if the tax meets a four part test: (1) nexus, a sufficient connection between the state and the taxpayer; (2) fair apportionment, the state cannot tax beyond its fair share of the taxpayer’s income; (3) nondiscrimination, the state must not burden out-of-state taxpayers while exempting in-state taxpayers; (4) fairly related, the tax must be fairly related to services provided to the taxpayer. The case came about after a series of cases in the 1950s and 1960s where the Court treated essentially identical taxes differently based on “magic words” in the statute. For example, an annual license tax imposed on the in-state gross receipts of an out-of-state company was invalidated as discriminating against interstate commerce, but an otherwise identical franchise tax on in-state going concern value, measured by gross receipts, was upheld as valid. Compare Ry. Express Agency v. Virginia, 347 U.S. 359 (1954) (“Railway Express I“) and Ry. Express Agency v. Virginia, 358 U.S. 434 (1959) (“Railway Express II“).